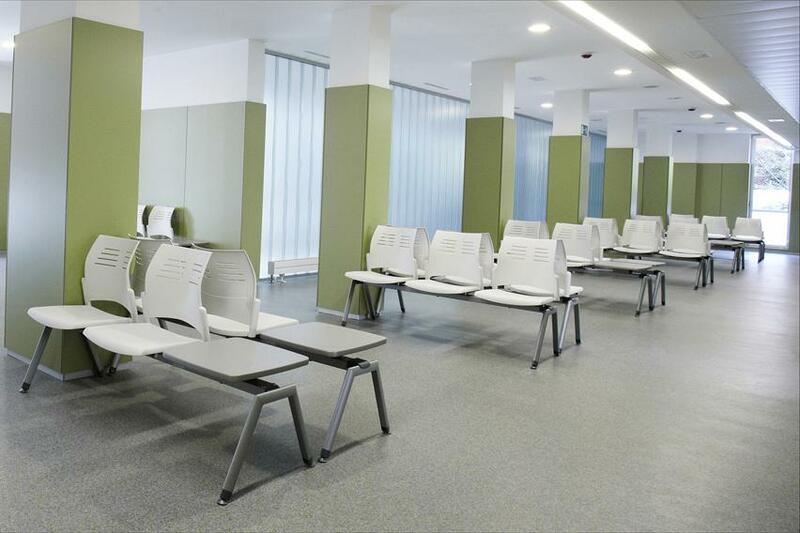 Located in Barakaldo, on Rontegi street, from where it takes its name, the new Rontegi Health Centre has a surface area of 2.912 squared metres, whose basement houses the archives, storeroom, cloakrooms, general facilities and a car park with 17 spaces. On the ground and first floor, there is an admissions area, consulting rooms and a specific area for women as well as a library. The second and third floors have been reserved for the offices of Osakidetza, so far centralized in another place. Actiu was selected to supply the equipment for this new installation. 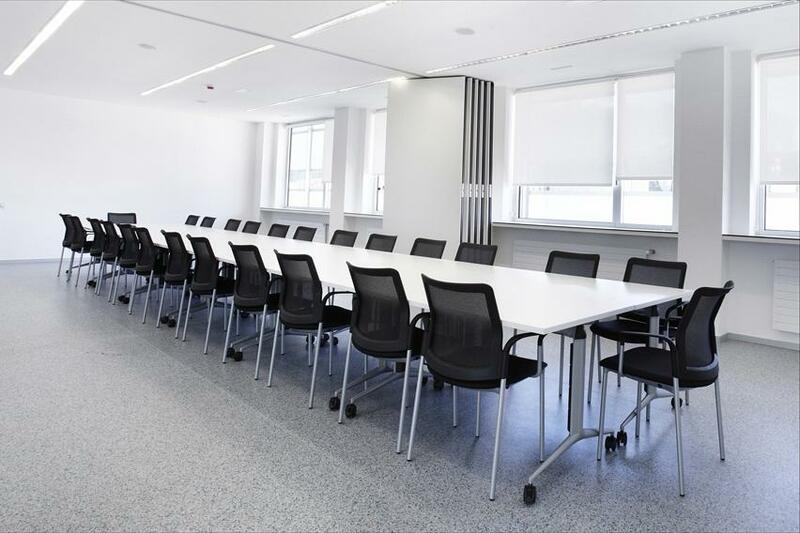 As it is characterized by health, white was chosen for all the furniture as it is usually understood as a synonymous for cleanliness, serenity and simplicity. 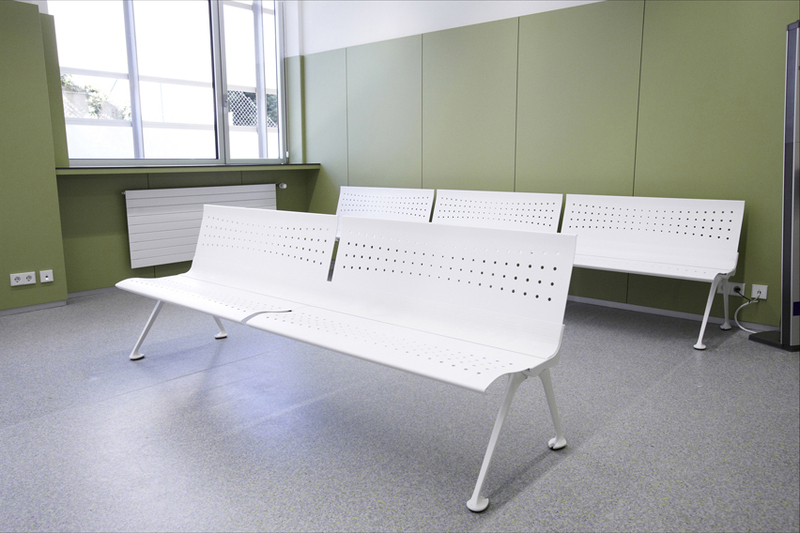 Several Transit benches, in a veneer finish, make the waiting areas and customer admissions more comfortable. The same applies to the Spacio program, in the consultant areas. For this environment groups of two or three seats have been grouped together, replacing the third place with a side table. 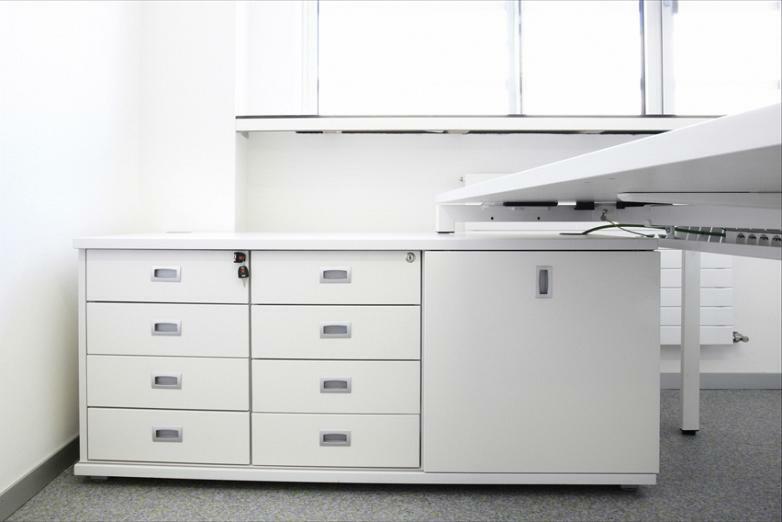 The consultant rooms have been equipped with the Vital Plus desk program, which combines maximum user operativity with multiple configuration options. 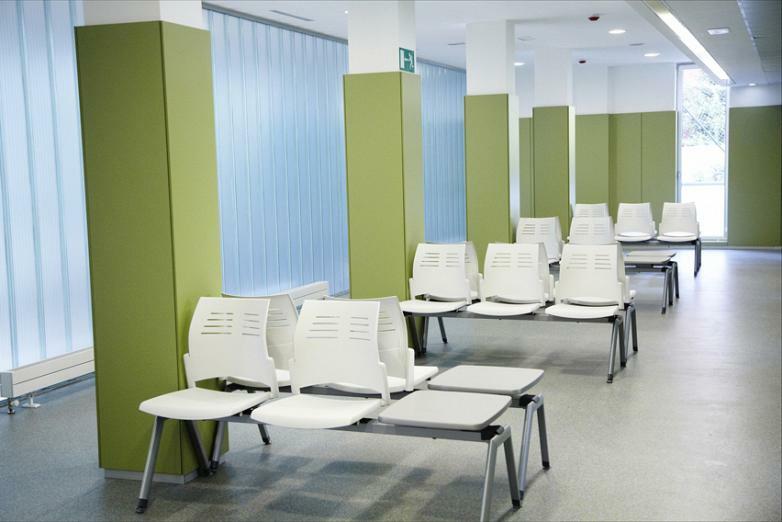 An advantage that keeps the same style throughout the health centre, but adaptable to the needs and the functions of each space. 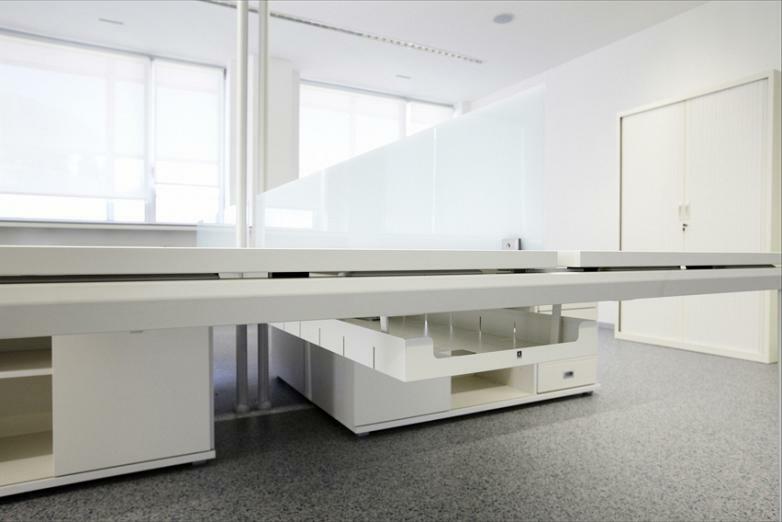 The composition to serve the users at the health centre has been carried out using Vital Plus with the support of a Buck wing, in this way the work surface is increased, by having a lateral wing and earns space for filing through the cabinets and pedestal drawers. 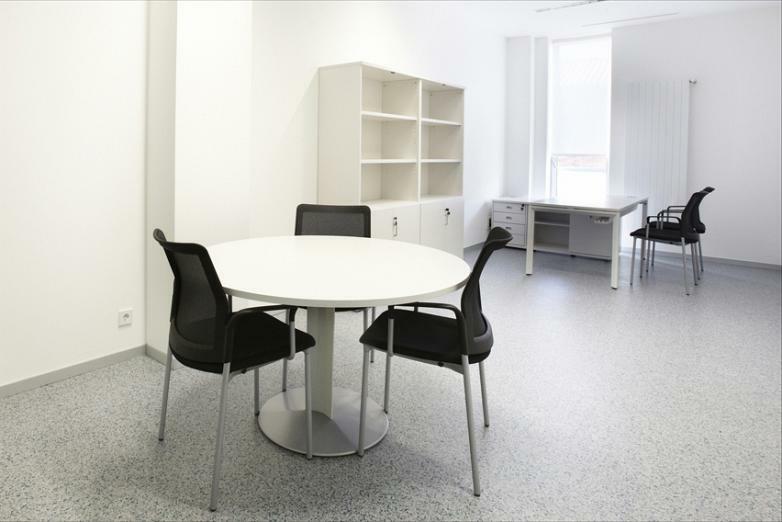 The Winner operative chair and two Spacio visitor chairs complete the configuration. The metal cabinets with shutter doors and in the highest model (200x120), add space for well ordered documentation whilst at the same time serve as room dividers. 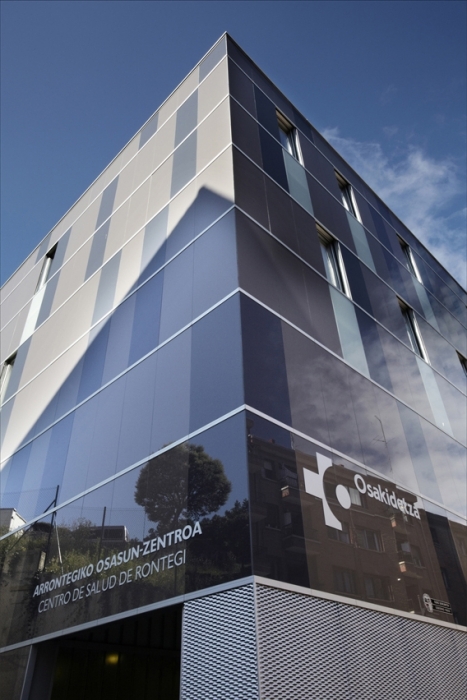 On the last floors (3ª and 4ª) the offices of Osakidetza are found (Basque Health Centre) for the region. This operative environment was designed with the aim of having the highest possible functionality. 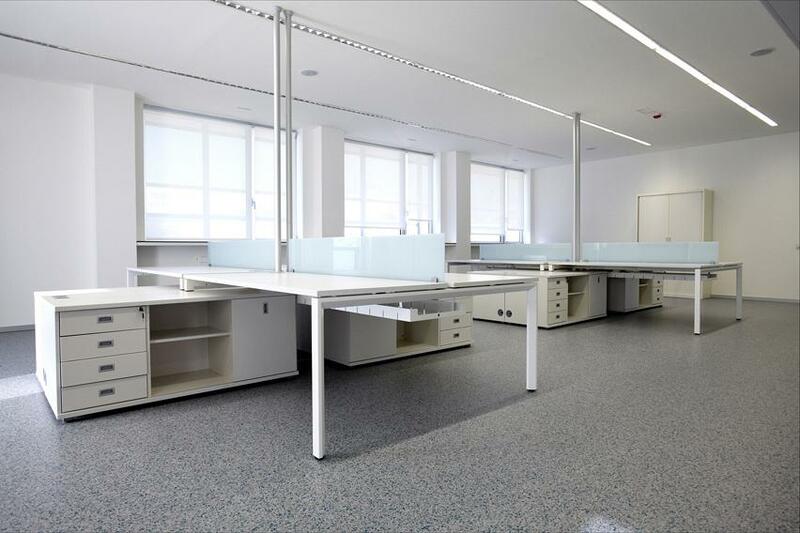 Just as in the consultants offices and customer service areas, the Vital Plus desk program has been used with support of a Buck wing but in this case with a configuration of twin desks. The support to the Buck filing modules, which in turn make an auxiliary wing, has the capacity for personal and daily use, which is combined using drawers and total file removal and easy access. 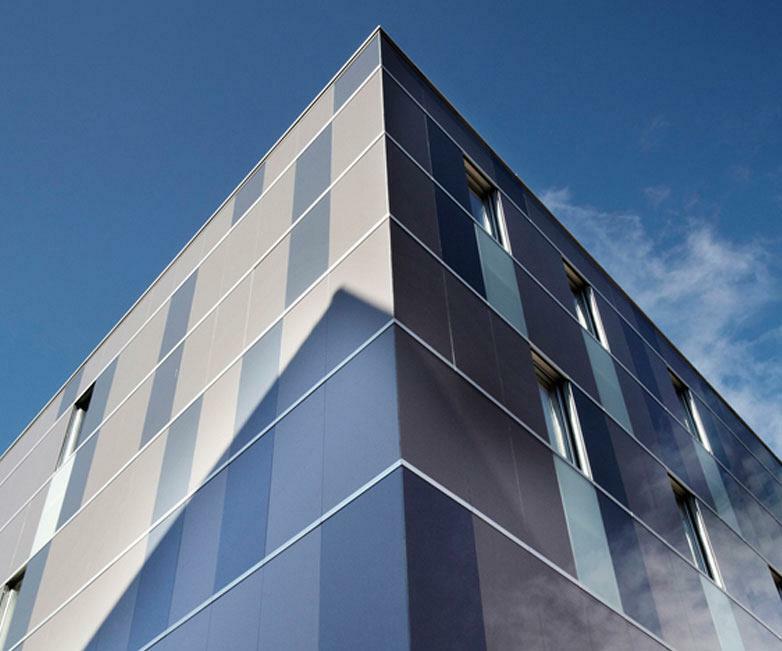 To maintain the privacy of each operative position, screens at medium height made from translucent security glass have been used. The Vital Plus program also has its own electrification system which keeps all the wiring hidden and tidied using a channel which is accessed by sliding the desk tops. 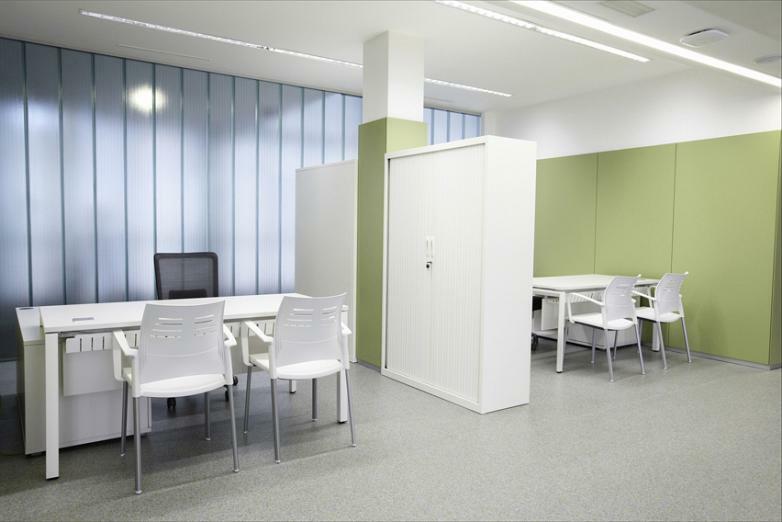 Everything has been provided in the offices and consultants rooms to constitute an optimal job. 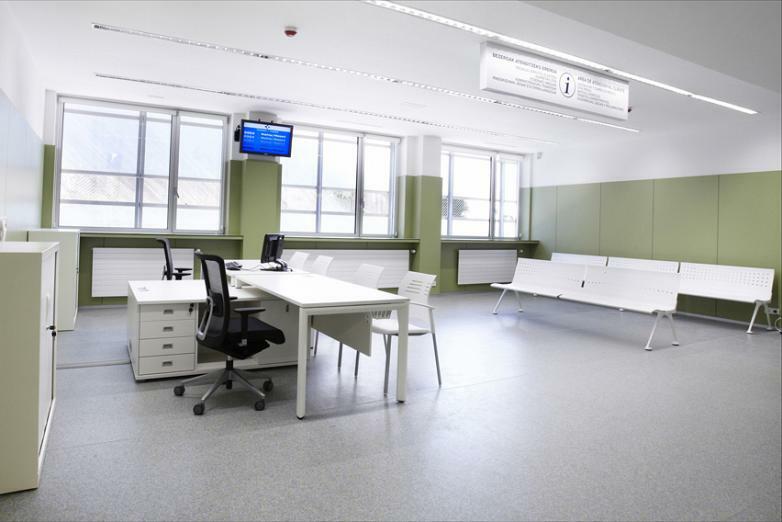 The Vital Plus desk program with Buck wing has been completed with two Urban Plus visitor chairs, with a discreet style and elegant presence. It was chosen with four legs and upholstered in black (the only colour allowed in this installation). 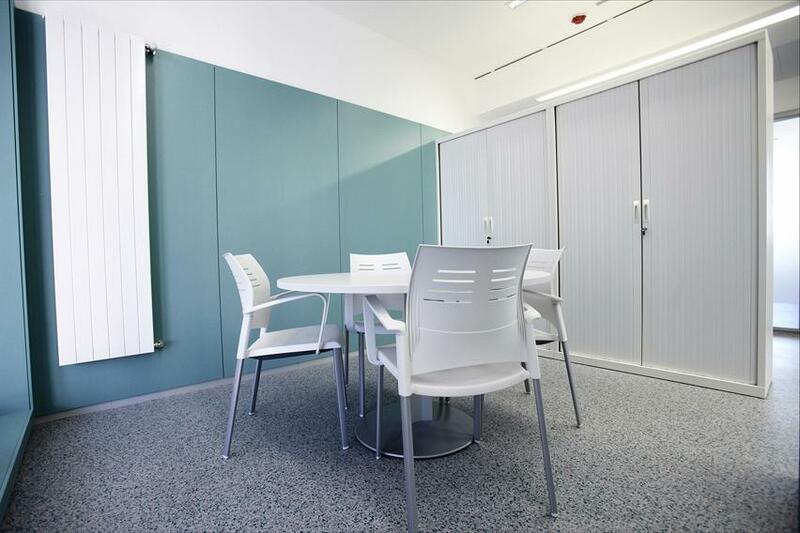 Furthermore, each unit has a small round Circular Base table for meetings and a modular cabinet divided into shelves, open spaces and with doors. 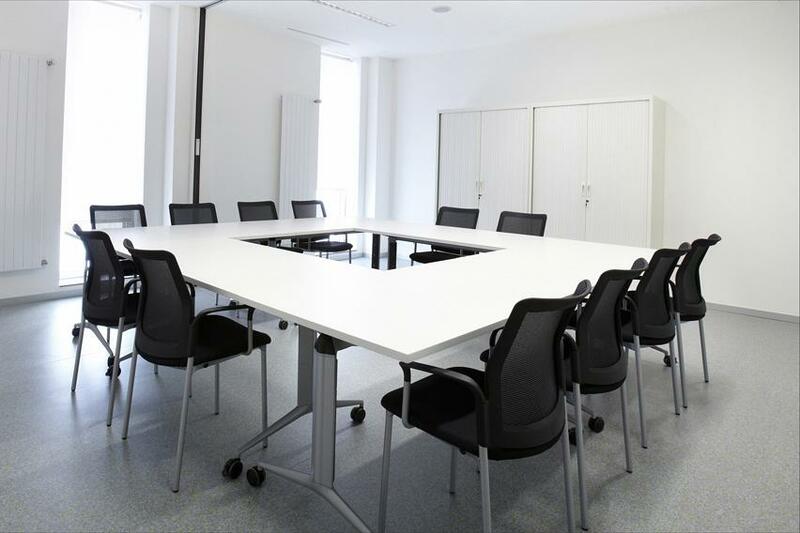 Several multi-purpose rooms have been furnished for meetings and training of different sizes and for these Trama desks with folding desk tops and castors have been used. Mobility and versatility have been combined to provide efficient solutions.